Since the independence of Pakistan, the region of Gilgit Baltistan has seen several different stages and developments. 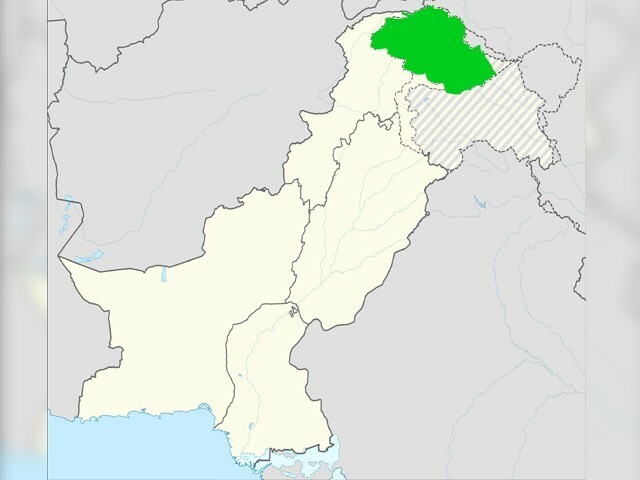 Last year, when the federal government eventually decided to change the decades-old status quo in the tribal areas by merging the Federally Administered Tribal Areas (FATA) with Khyber Pakhtunkhwa (K-P), it was hailed as a watershed moment with the sole purpose of altering the economical and political situation of the neglected region for the better. Soon after this momentous decision, the people of Gilgit Baltistan (G-B), sensing how they had been neglected since the inception of the country, also began demanding similar treatment for their own region. Pressure began to mount on the government to change the existing state of affairs in G-B as well. However, while the merger of FATA with K-P wasn’t a walk in the park, the matter of declaring G-B a full-fledged fifth province of the country is a far more complicated affair, which is perhaps why we will not be seeing a resolution anytime soon. The major stumbling block in G-B’s way to becoming a province is the underlying resolution of the United Nations Security Council (UNSC) which sees this region, along with Azad Kashmir, as part of the greater Kashmir, whose final status is yet to be ascertained in a promised plebiscite under the auspices of the United Nations. This has been the status quo for as long as one can remember. Since the independence of Pakistan, the region has seen several different stages and developments. The territory of present-day G-B became a separate administrative unit in 1970 under the name of the ‘Northern Areas’. In order to form this unit, the Gilgit Agency, the Baltistan district and the princely states of Hunza and Nagar were amalgamated. Then, under the presidency of Asif Ali Zardari in 2009, the region was granted limited autonomy via the Empowerment and Self-governance Order. However, this time around, the government has proposed a range of legislative, executive and judicial reforms in G-B, with the primary aim being to give greater political and economic empowerment to the people living here. The draft, Gilgit Baltistan Governance Reforms 2018, has subsequently been promulgated and shared with the Supreme Court. Through this, the federal government aims to award G-B the status of a provisional province, subject to the decision of the plebiscite promised by the UNSC resolution. The passing of this draft in the parliament alone is expected to be a long, bumpy road, as it requires a two-third majority. However, for the time being, the region of G-B is to receive the same rights and treatment as all other provinces in the country. In doing so, the draft states that becoming the governor of G-B will require certain stipulations to be met, including an age limit and other eligibility criteria. As for the G-B council, it would consist of the prime minister of Pakistan alongside the governor of G-B and six other members nominated by the premier. Another implementation will be that of including a 32-member legislative assembly, from which six seats shall be reserved for women and three for technocrats. The draft is thus exceedingly detailed, indicative of a positive trajectory when it comes to the status of G-B. The proposal of these reforms in the judiciary has, after all, had a special emphasis on extending the jurisdiction of Supreme Court to the region as well. This bodes well for G-B with regard to the region’s representation in the federal services, which will be in line with provisions made for the share of other provinces. All these reforms and the overall idea of giving G-B a provincial status is as laudable as it is controversial. The biggest obstruction standing in its way is of course how this impacts the situation in the greater Kashmir region. This move could not only jeopardise Pakistan’s claim on Indian-occupied Kashmir (IoK), but could also compel the people of Azad Kashmir to conceivably push for the same demand. Trying to figure out the ideal solution in light of this ambivalence, I decided to ask two students from G-B studying at the Cadet College Khushab what they thought the future should hold for the region. Ali Bahadur, a sophomore, suggested G-B is better off in the current set-up. However, he remains adamant in his pursuit to push for the equal rights for his people. His classmate, Abdul Salam, disagreed with his friend’s assertion. “We cannot wait until the day of judgement for the resolution of the Kashmir issue! We are Pakistani citizens, and must be treated as such,” he insists. He went on to add that the people of G-B at large want the territory to be declared the fifth constitutional province of the country, for the region still lacks rudimentary infrastructure and other amenities such as educational institutes. The hope remains that declaring it the fifth province might prompt more attention and funds for development. The debate itself is as diverse as the opinions of these two G-B residents. I wish there was an easy or clear resolution to this issue, but for now the draft remains its best option. I don’t see any fault on Pakistan’s part, as the country has consistently sent peace overtures to India, only to be repudiated. The onus for all the failings in the greater Kashmir region lie on India, as it persists in its intransigence and mendacity and also in its violence towards the inhabitants of IoK. The road ahead is long and full of bumps, but at least the journey has begun. One can only hope this will result in these brave people receiving their long overdue rights without further dillydallying.